Every Monday in January I plan on sharing some of my favorite frugal living tips with reference to the 4R’s – Reduce, Reuse, Recycle and Repurpose!! 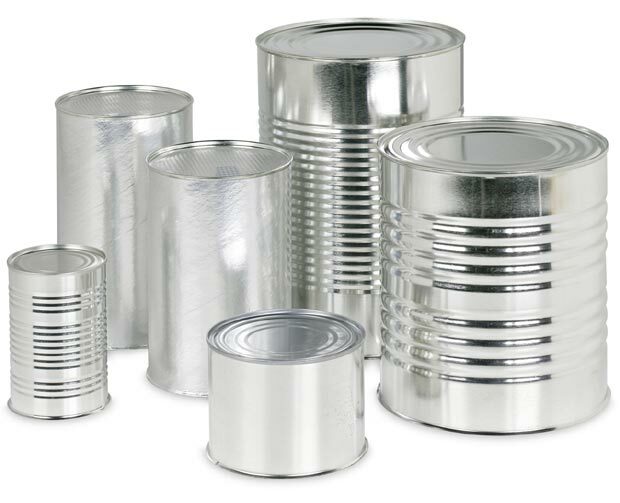 Reuse soup cans and coffee tins -Make sure you thoroughly clean and wash your cans before using. Here are a few ways to reuse, recycle and repurpose your tins or cans. 1. Use your can to hold pan drippings such as bacon fat, let it harden, then wrap in a plastic bag (that you have saved to recycle) and put in the garbage. It is so much better for the environment and your sink to NOT put any type of hot grease down the drain. 2. DIY luminaries – you can leave as is or spray paint your cans and punch holes to make fun light patterns – pop in a tea light or votive candle and these can be used indoors or outdoors – for outdoor use, you could punch holes in the side of the cans and add wire to hang from a branch in a tree. 3. Use as a catchall around the house and in your craft room. You can decorate the tin with scrapbook paper, leftover fabric, spray paint or wrap in jute to match your decor. You can use your tins to hold pencils, paint brushes, hair ribbons, extra supplies, elastics or makeup brushes. Repurpose plastic milk jugs – plastic milk jugs can be made into sturdy and useful gardening items such as garden spade or a small dust pan as seen below. You can cut the jugs in two and use both the and the bottom to start seedlings for later transplanting in the garden. Leave the jug intact and punch holes in the lid and use as a watering can. Don’t throw away plastic bags – recycle them – use small bags from your grocery store as garbage bags in your bathroom garbage can or any other small garbage receptacle that they will fit in. Use them when cleaning out the cat litter. If you don’t need to refrigerate your lunch, use one as a lunch bag. I have so many plastic bags that I had to research a way to fold them so I could fit more into my plastic bag holder. A friend’s grandmother showed me how to do this years ago but I forgot about it until I saw it again on YOU TUBE – it only takes a few seconds to fold a bag and it is a great space saver!!! Frugal Living Tips – A Wandaful Thing!! This entry was posted in DIY and tagged 4R's, candles, coffee, DIY, easy, gardening, jar, lights, plastic bags, plastic jugs, recycle, reduce, repurpose, reuse, simple, soup. Bookmark the permalink. Happy you enjoyed them Diana. I am a big fan of reduce, reuse and recycle.